​Magic Sleek has been rigorously tested for safety and effectiveness, and is 100% formaldehyde free containing no methylene-glycol or any other harsh chemicals that produce formaldehyde when heat is applied. Magic Sleek has none of the health risks or side effects of other products. 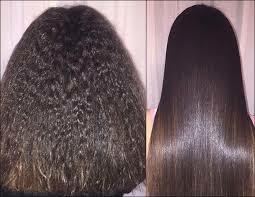 Magic Sleek is safe for women of all ages and can be used on bleached hair, ethnic hair, and even virgin hair. 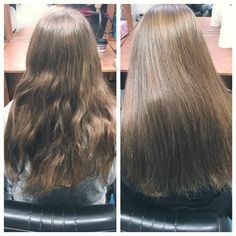 Simply by adjusting the technique used, Magic Sleek can be customized to cater to different hair types and offer a variety of results. All with the same three-step system, you can achieve a pin-straight look, you can straighten the hair while still retaining body, or you can remove frizz, redefining a curl entirely. Magic Sleek's main active ingredient is tannin, an element widely used in tanneries to leave leather waterproof, soft, flexible, and unbreakable. Our laboratory managed to synthesize elements from the family of tannins and brought them to use in cosmetics. Also in its composition, Magic Sleek contains a natural Argan oil extract, which provides moisture to the hair. With consideration to the health of ones hair, the pigmentation is purple to provide prevention of an anti-yellow tone of the hair during the thermal process. We achieve a treatment that strengthens and rejuvenates the wires, shields the cuticles, adds softness and shine to the hair, and prevents the action of free radicals that cause premature aging. It also helps to moisturize the scalp and hair, protect the color, and decrease the aggression of other chemical treatments. What is Lasio Keratin Tropic? 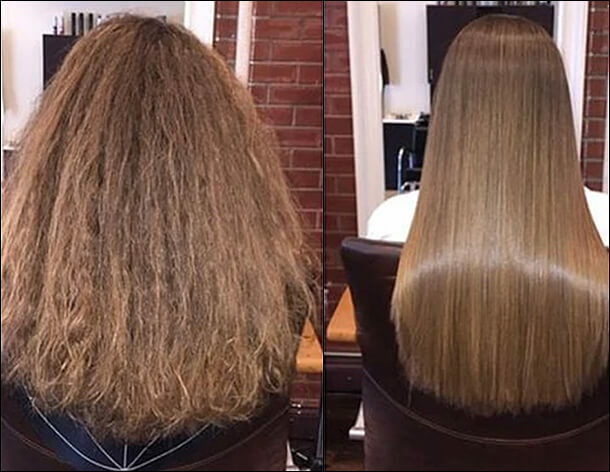 The Formaldehyde Free Keratin Tropic removes 100% frizz and up to 60% of the curl with an outcome of beautiful body and enhanced curls. See what 100% Formaldehyde Free has to offer, results that lasts up to 3 months.